A's mother recently turned 60, and A's father J organised a special surprise for her. Last weekend, J arranged for himself, A's mother P, A and his brother K to spend a weekend together in Paris. The boys surprised P at the King's Cross station before whisking her off to St. Pancras for a Champagne breakfast on board Eurostar. We all had an utterly brilliant weekend from our base on the Left Bank, and as ever with A's family, food was a major constituent part of the celebration. One of the places which struck a real chord with the family was the famous Brasserie Lipp in St German des Pres. A lesser-known place practically opposite the famous Café Flore and just down the road from Les Deux Magots, Lipp is a no-nonsense establishment, where uniformed waiters serve up simple brasserie food for reasonable (well reasonable-ish – this is Paris after all!) prices in traditional surroundings. 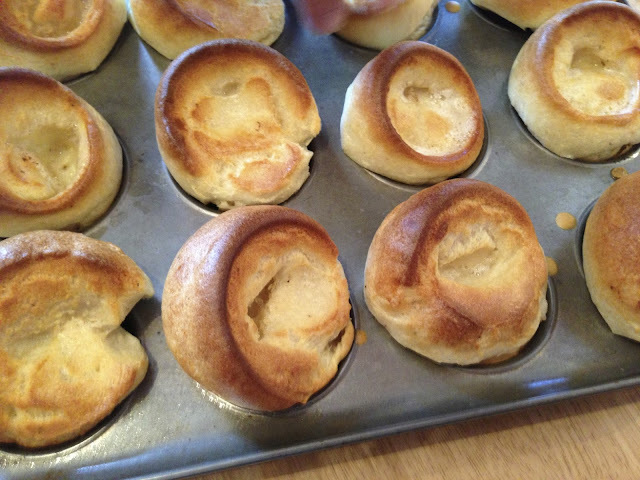 The menu contains all the usual French favourites, and it was these that the family tucked into with gusto. A started with a Soupe de Poissons (fish soup). This Gallic classic is a thick soup in which you float croutons topped with rouille (a spicy provençal paste typically made of oil) and a sprinkling of gruyère cheese. While the brown colour and rouille is probably not to every Brit's taste, this particular version of fish soup was absolutely stonking: it wasn't overpowering in its fishiness or saltiness, and was by no means bland. 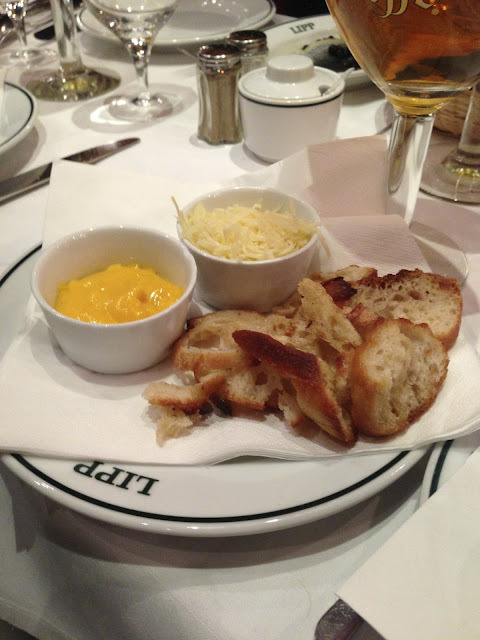 The spices in the rouille could be tasted strongly and the smoky cheese topped off what was an excellent dish. For his main, A changed French region and switched from Provence to Alsace, opting for a Choucroûte (Sauerkraut). Popular on both sides of the Rhine, the French consider this dish as much their own as the Germans do: piles of hot pickled cabbage and boiled potatoes are accompanied by several different cuts of pork and a sausage or two in what's a real winter warmer. 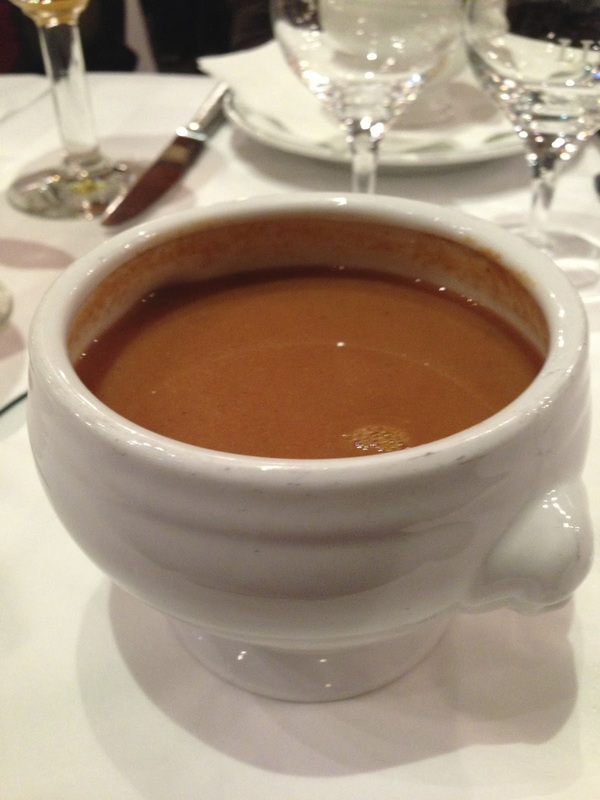 Lipp has two varieties on its menu: the traditional choucroûte and the choucroûte Lipp. 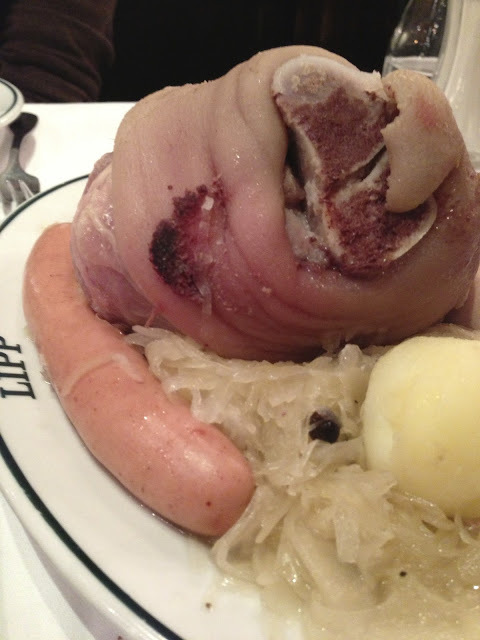 A plumped for the latter, which came as a bit of a surprise: whereas one would normally expect a few slices of pork with the dish, Lipp's house choucroûte came served with two varieties of sausage and an enormous boiled pork knuckle sitting on top of the cabbage. The knuckle had been cooked to perfection and the meat literally fell off the bone at the touch of a fork. The sausages were delicious and the cabbage, while rather too heavy on the peppercorns for A's taste, was pretty good too. 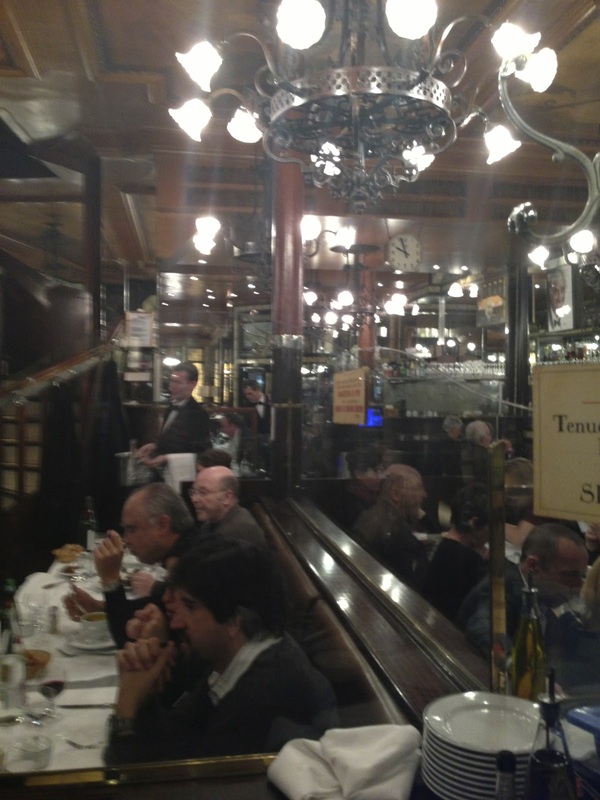 The other three diners had a variety of starters and then opted for a pot-au-feu for main. 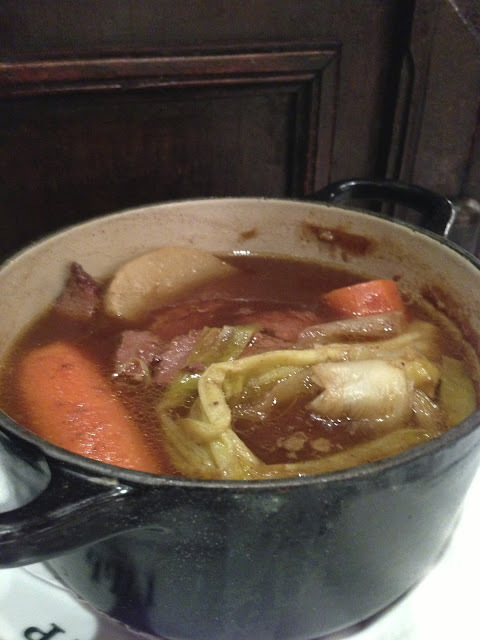 Like the Sauerkraut, the pot-au-feu is a classic French peasant dish. A piece of beef (usually a brisket, shin, tongue, skirt or similar cheaper cut of meat) is put in a pot with a lot of vegetables and herbs (typically a bouquet garni) and boiled slowly. The beef ends up extremely tender and flavoured with the herbs, and the vegetables take on a lot of the flavour of the beef stock. While A cannot personally vouch for the dish at Lipp, A's family made substantial dents in all three of their pots, cooing over the contents as they did so. One thing you can also say about Lipp's portions is that they are extremely ample. As it was P's birthday weekend, we'd all planned on eating our way through the menu, but the mains were so huge this was not viable. We all left full, warm and very happy, after the main. If you're ever on the Left Bank, this is one of the places to go!